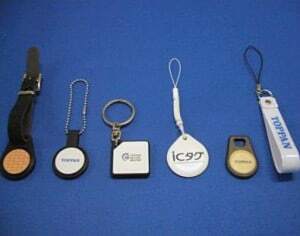 NFC tags or stickers are small objects that you can place all over the place, like your car, home, office anywhere, and program them to perform automatic tasks on your smartphone. How is that possible? Using NFC technology incorporated in the Galaxy Note 2 for example, you can use the phone to program an NFC tag to o something you like. You can set it to do any command you want. You can launch apps, you can send texts, you can turn on/off settings anything that is not limited by your Galaxy Note 2. NFC technology has small utility for now, and NFC tags are, for now, one of the best uses of NFC technology. How to use NFC tags on Galaxy Note 2? First of all, you can watch this video that explains very well how you can use your Galaxy Note 2 to program NFC tags, and how you can use the tags. As you can see, in the video the application used to write/program the NFC tags is Tagwriter. Of course there are also other apps that you can use. It’s your choice here. Of course, if you want to use NFC tags you have to have NFC turned on from Settings. Maybe you are familiar with what NFC tags are, but you don’t understand their utility and you want to know how you can use them to simplify your life. The NFC tag is a simple object that you usually carry around with you, or a sticker that you place around the house. You just slide the back of the Galaxy Note 2 over the tag and NFC should initialize the action you programmed the tag to do. You shouldn’t keep the phone pressed over the tag, just touch them and take them away. At home: to turn WI-fi on/off, to open calendar, to place a reminder, send an email, to enable silent mode etc. Other utilities: enable auto-rotation, launch music player, enter favorite websites etc. One issue with NFC tags is that you have to unlock the screen to use them and you need to have NFC constantly turned on. Apart from that I can only see them as an uprising trend and a very useful tool to have around you every day.